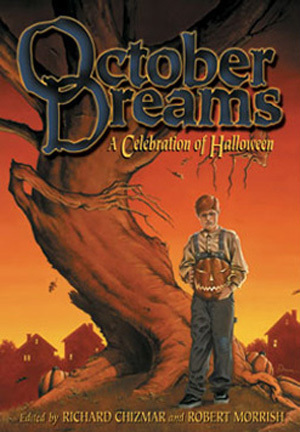 This entry was posted in All Hallow's Read, Anthologies and tagged AHR, all hallow's read, Cemetery Dance, Halloween, horror, neil gaiman, October Dreams, Peter Straub, Porkpie Hat, Short Stories by Mr. Dreadful. Bookmark the permalink. Not sure why we’re doing third person, but OK. Jim has a hard copy of Pork Pie Hat that is still collecting dust. He thought he had October Dreams in digital, but upon further review had to request it from the library. How could Colum beat Meli over the head when she continually insists on livening up his life with her little “O face” emoticons? I KNEW IT! I swear when I typed that emoticon, I wondered if perhaps I was tempting you to think dirty thoughts! HAHAH!